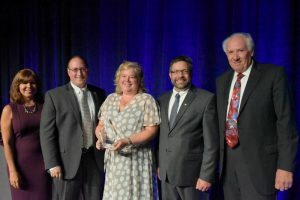 At the August 2016 Institute of Transportation Engineers (ITE) international annual meeting in Anaheim, Calif., four members of the ITE University Transportation Curriculum Project (UTCP) including David Hurwitz, associate professor in transportation engineering, received the Transportation Education Council Innovation in Education award. 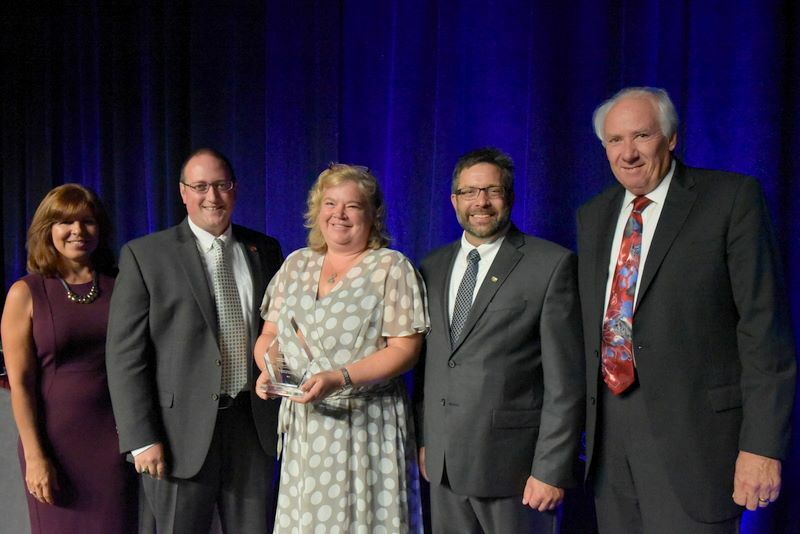 Hurwitz, along with project members Kristen Sanford Bernhardt, Rod Turochy, and Rhonda Young received the national honor in recognition of their innovative work over the last seven years on challenges related to undergraduate transportation engineering education. The group tackled their project by identifying barriers to the adoption of improved and innovative teaching methods, developing course materials, and building of a community of practice for transportation educators throughout the country. The group received their award not only for their innovative methods but also for their perseverance in absence of a funding stream. “It has been a personally and professionally rewarding experience working with my colleagues, Drs. Young, Turochy, and Sanford Bernhardt, to produce an educational impact worthy of national recognition,” said Hurwitz. University-based transportation engineering education plays an important role in the recruitment and development of transportation professionals. Through their efforts, the UTCP is working to attract and retain undergraduate transportation engineering students and better prepare them for practice or graduate school.